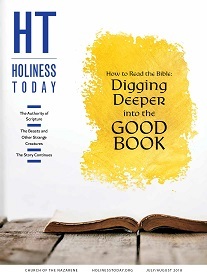 Order a group or gift subscription to Holiness Today at a special discounted rate. Save when you purchase two or more subscriptions. Each recipient will receive a one-year subscription (six issues) mailed to a home or office address. This special offer is available for U.S. mailing addresses only. (Optional) Make an additional contribution to Holiness Today.